The pilot patches don't seem to show anymore in the Mirage. Anyone else with this issue? 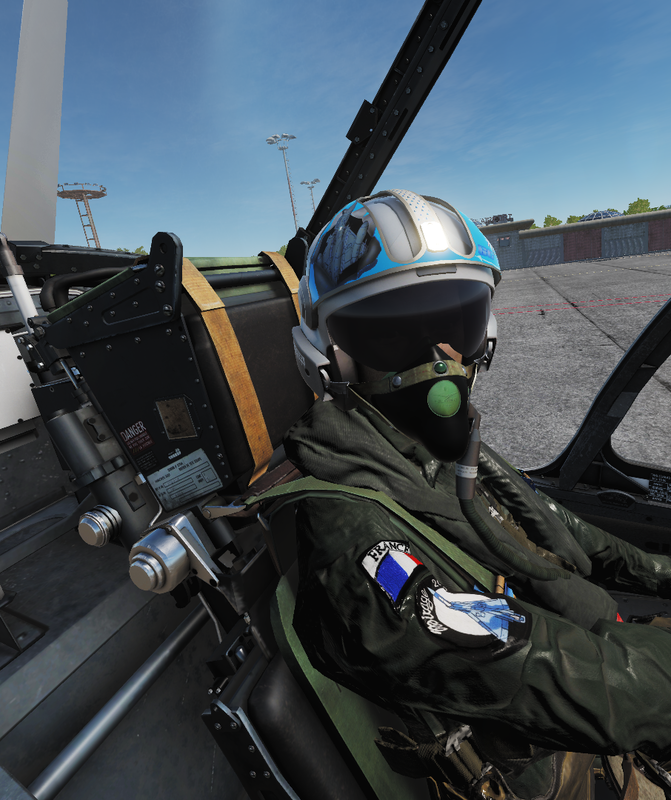 Yes, since the last update (release DCS version) the pilot patches have gone away? We are just wearing plain flying suits! i7 Haswell @ 4.6Ghz, Z97p, GTX1080, 32GB DDR3, x3SSD, Win7/64, professional. 32" BenQ, TIR 5, Saitek x55 HOTAS. I do not mod my game. What about IC ? Thanks, will wait and see if patches get re enabled in the next updates before I go modding my pilot texture. I have read that the pilot body was removed in FP because the whole cockpit needed a hand of fresh paint, they might add it back around May. That includes the patches in TP. -- English (US) -- Russian (RU) All times are GMT. The time now is 05:18 AM. vBulletin Skin by ForumMonkeys. Powered by vBulletin®.